Child care is a pressing economic issue for working families across the country. At a time when 65 percent of young children have all available parents in the workforce, high-quality child care is a necessity. The exorbitant cost of child care has become a significant burden for parents who need it to support their families. Millions of parents must make an impossible choice between paying more than they can afford for child care; settling for cheaper, lower-quality care; and leaving the workforce altogether. Parents who decide to leave the workforce to become full-time caregivers stand to lose much more than just their salaries, earning less in benefits and retirement savings over the long run. Unsurprisingly, the child care problem in the United States is a barrier to work. Not only is child care unaffordable for families, but licensed care can also be hard to come by. 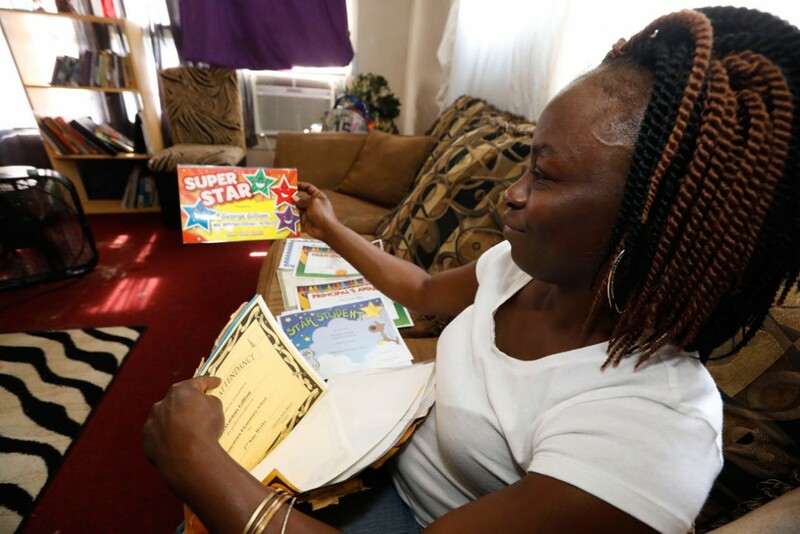 A recent Center for American Progress study found that mothers who live in child care deserts, areas with an undersupply of child care, have lower rates of workforce participation than mothers in nondesert areas. Participation is particularly low for low-income mothers with children under the age of 6, suggesting that lack of child care has become a significant barrier to economic security for families with young children. New data from the National Survey of Children’s Health further shed light on this issue. CAP analysis of this data reveals that in 2016 alone, nearly 2 million parents of children age 5 and younger had to quit a job, not take a job, or greatly change their job because of problems with child care. As a national discussion around the cost, quality, accessibility, and supply of child care continues, policymakers must consider the direct impacts that lack of child care has on parents’ ability to work. 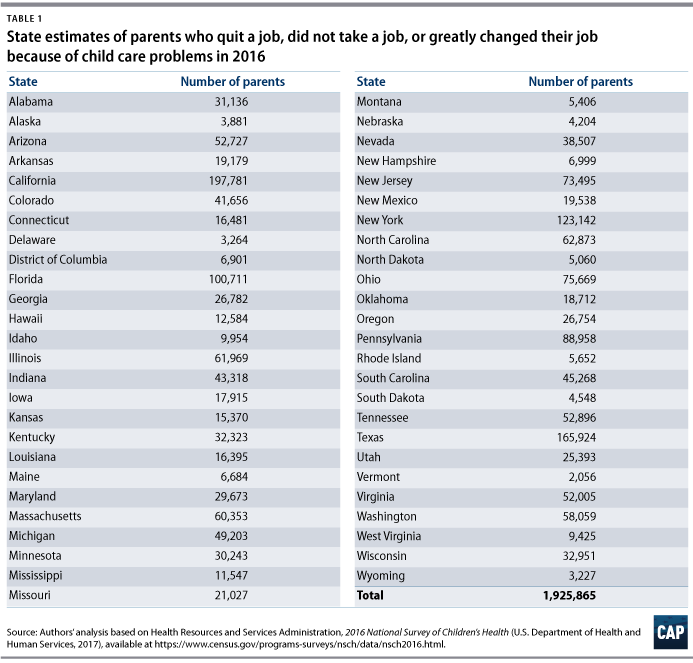 The table below shows how many parents in each state reported that they or someone in their family had to quit a job, not take a job, or greatly change their job because of problems with child care during the past year. Leila Schochet is a research associate for Early Childhood Policy at the Center for American Progress. Rasheed Malik is a policy analyst for Early Childhood Policy at the Center.